I love brands who do brand campaigns that are not conventional. And I love high energy brand campaigns that make laid back Fijians like me jump up the chair, get excited and get moving. So hearing that the new MINI brand campaign has got underway with an established “NOT NORMAL” claim, my ears perked up. 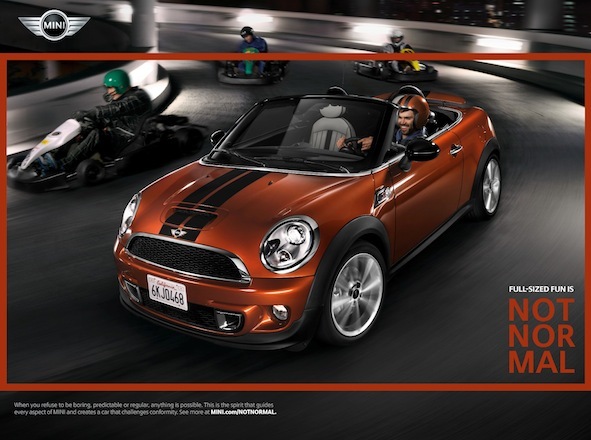 Apparently, the global campaign conveys the brand’s individual, high-energy attitude to life and highlights the strong emotional and personal connection between driver and MINI. “NOT NORMAL” focuses on MINI’s strong, independent character. The campaign, which integrates the full range of MINI products, will be rolled out worldwide through all communication channels.